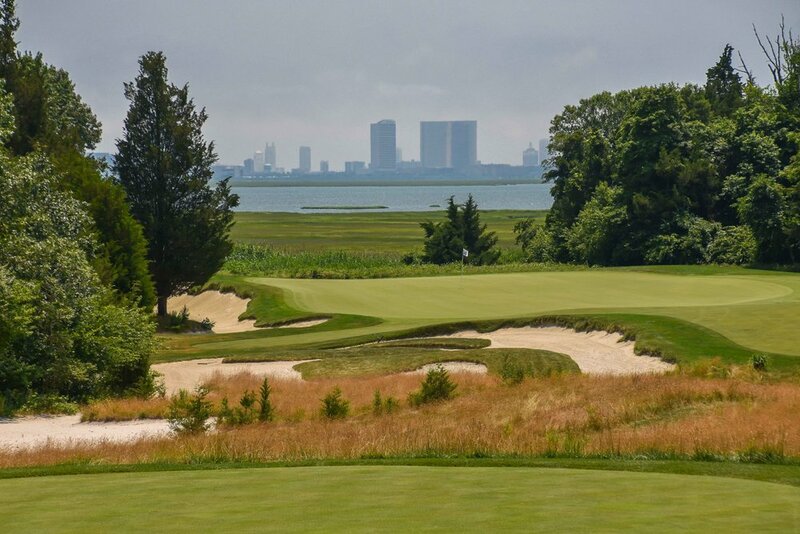 Bon Jovi was born in New Jersey — PJKoenig Golf Photography PJKoenig Golf Photography - Golf Photos For Those Who Love The Game. When I originally planned the route for The RGV Tour, I made sure that the summer would be hitting hard when we rolled into town for the big states. New Jersey was one of those states and summer was here. Like the title says, Jovi was born in Jersey and The RGV Tour was ready to rock and roll. The tour started off at Galloway National and with a birdie on the very first hole. Immediately after that, I was attacked by green headed flies. Green heads are not ordinary flies, they are big and they bite hard. I ran around like a mad man for an entire hole dodging flies and punching myself repeatedly in an effort to survive. Fortunately, my man on the bag had some bug lotion. I lubed up in a hurry and the bugs stayed away. I would survive the ordeal. The 17th hole at Galloway is a real scene stealer. The 2nd hole... scene of the fly attack. Next up on the calendar was another Tom Fazio design, The Ridge at Back Brook. Things heated up on the ace hunt as I had a couple of laser beam iron shots that just buzzed the cup. Still no aces on the tour, but the close call count is around a dozen. At this point, my game is really rounding into form. My short game is noticeably sharper every day. I am much more confident with the putter and I actually believe that I am going to make a large percentage of my putts. That belief translates to some pretty sweet action on the greens. Back in Arkansas, I was playing to a 5 handicap and now it's hovering around .4. Scratch golfer status is just around the corner. Somerset Hills had been a long anticipated stop on the tour and the date was finally here. I arrived early and presided over the lot like only the RGV Tour can. I was going to be first out on the course on a near perfect day. The only thing missing that day was the A game. One of the most valuable skills that I have been working on during the tour is how to play bad golf and have a really good time doing it. 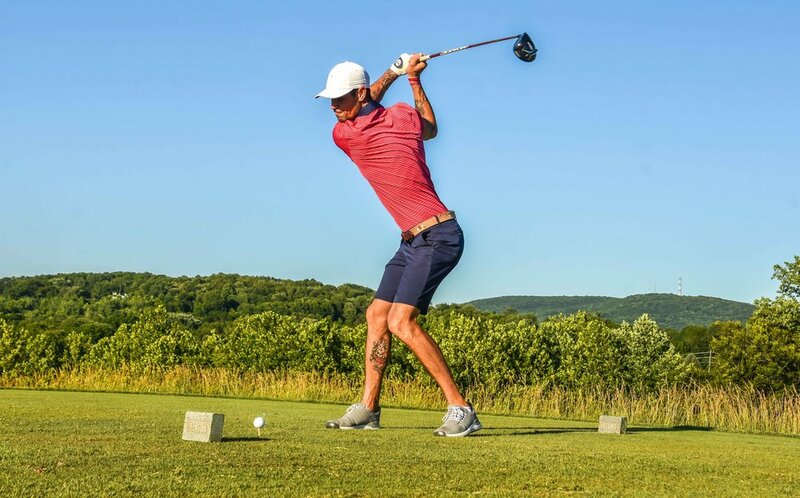 Nobody likes to hit bad golf shots and when they start to pile up, it can effect your mood pretty easily. The key is to get over yourself and realize that nobody cares if you shoot 65 or 85 and they won't remember your actual score no matter what. What people will always remember is what sort of person you are. Were you fun to play with or were you a grumpy wanker? It is my pledge to always make sure that The RGV Tour will be the golf party that you want to join. One of the most enjoyable green complexes in America. After ogling this view for years, I finally was able to snap the shot for myself. 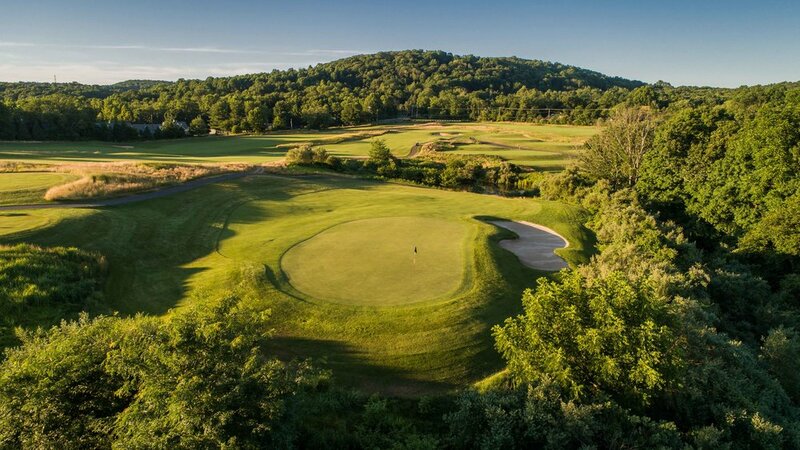 The 2nd hole at Somerset Hills is a par 3 redan hole and it is one of the best in America. Although The RGV Tour loves to see the nation's best and most exclusive clubs, it also loves to see the public side of the golf world. Growing up as a muni kid, these courses will always be the most familiar to me and we had a pretty solid line-up of public courses in New Jersey. The Architects Golf Club, Neshanic Valley, Highbridge Hills, and Ballyowen were all serious courses and we golfed them seriously hard. The Architects Golf Club is not your normal golf course. 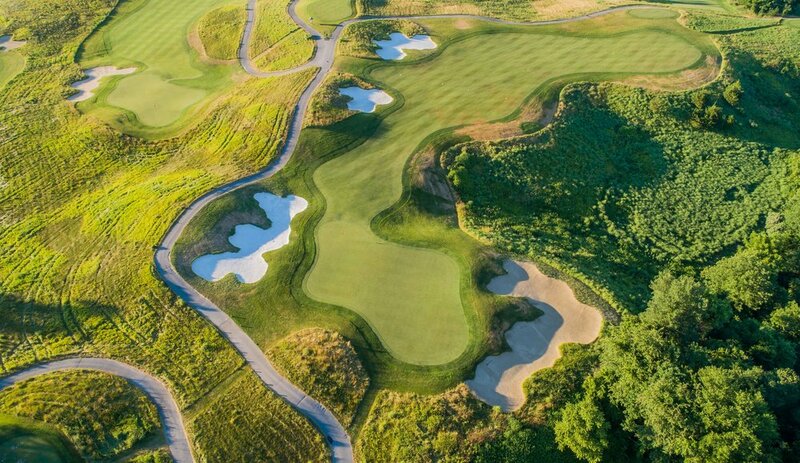 Each one of the golf holes was designed with a particular Golf Course Architect's stylings in mind. For example, the 13th hole was designed in the honor of Alister Mackenzie. Alister loved to give the golfer a chance to hit the "hero shot" and that's exactly what the 13th hole does. 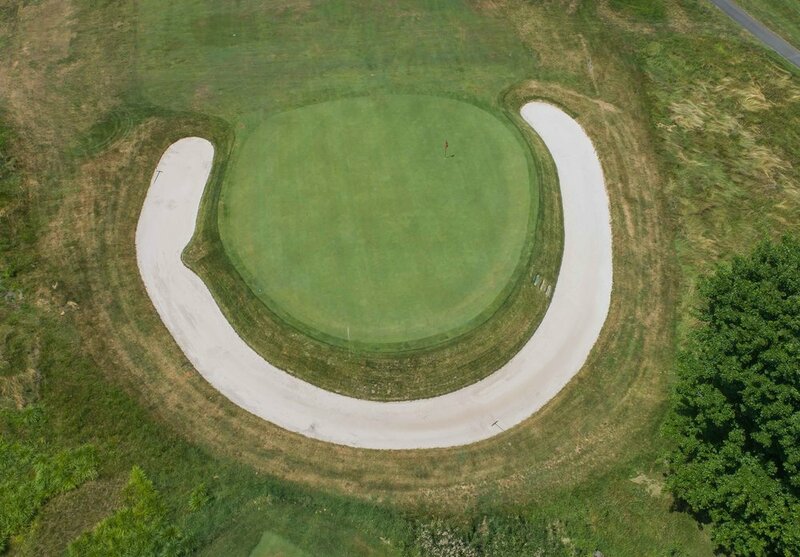 The reachable par 5 below features a risk reward option with bunkers set into the hillside above the green. 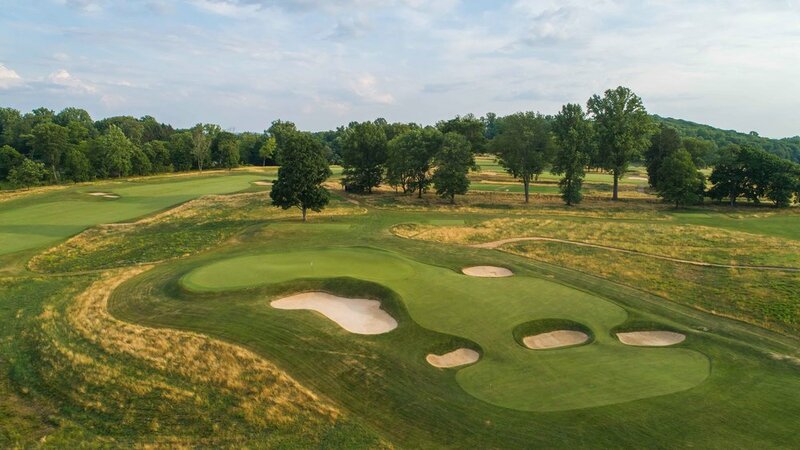 The 17th hole above uses the bunkering style of Stanley Thompson and the 10th hole below has that George C Thomas' vibe. You are not going to be magically transported to Riviera, but the golf course is a really fun option for those interested in golf course architecture. It's not the 10th hole at Riviera, it's the 10th hole at Architects. Neshanic Valley has 2 18 hole tracks and a short 9 for the public to enjoy. 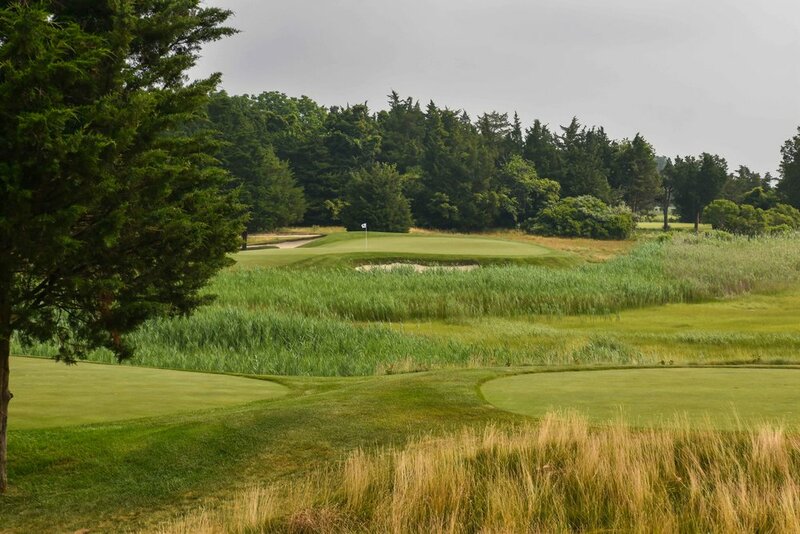 Ballyowen is another good option for the New Jersey public golfer. RGV Tour standout: Joe Zwickl. Joe has at least 20 tattoos and will have to give you 20 shots if you want to hang with him. Highbridge Hills was the 2nd round on a day of 36 holes. 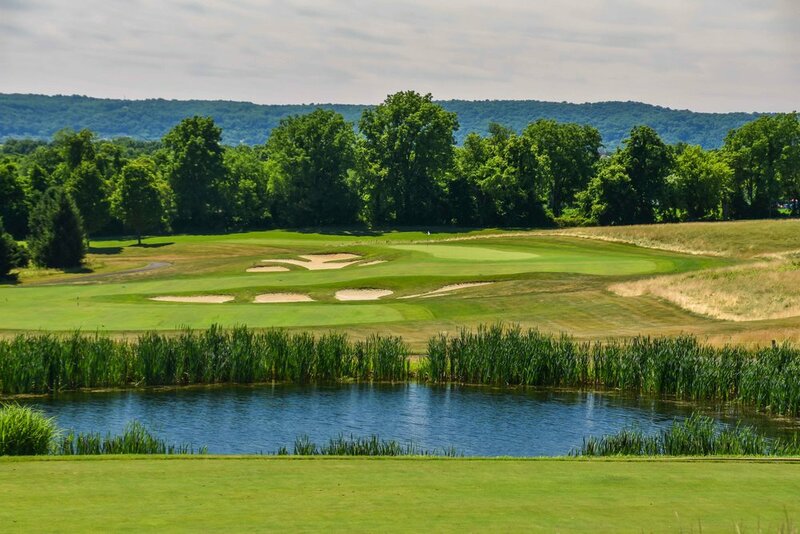 After wrapping up the tour of Jersey's public golf, we headed out to a recently renovated Seth Raynor golf course called Watchung Valley Golf Club. This is where I ran into a 90 year old golf stud named Al. Al was hesitant about joining the RGV Tour at first, but I pleaded with him to join me and he relented. Al was the Caddy Master at Watchung for 55 years and they pretty much let him do what he wants these days. He is also not the sort of golfer that likes to start off with small talk. By the 3rd hole we were talking concentration camps as Al described his service to the country in World War 2. Below, we see Al escaping from the principal's nose bunker on the 16th hole. Al was not thrilled about visiting the bunker. "Damn this bunker!" he would exclaim. In the end, Al would take 103 strokes to get around the golf course, not bad at all for a guy in his 90's. Thank you for being a part of The RGV Tour, Al. 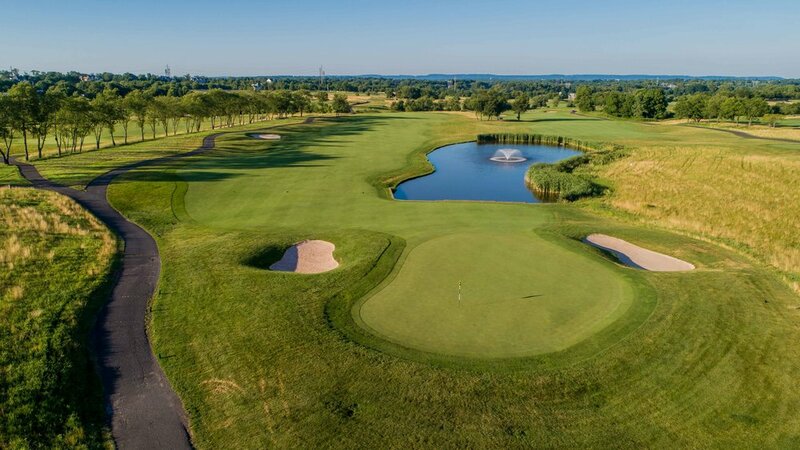 Plainfield CC not only holds a spot in America's Top 100, but it also holds a special place in golf history. In 1904, Leighton Calkins created the handicap system at Plainfield. That same system is currently in place today! The sporty little 11th hole was one of my favorites. In the 1930's the routing of the course was changed and holes 13-15 were added into the layout. Not everyone thinks these holes blend with the rest of the course and when you head over to the 13th, you can feel the vibes change. The 15th green is pictured above. The golf party in New Jersey would end with a serious bang and a seriously good time at Ridgewood Country Club. While the course was gearing up for the PGA's Northern Trust, The RGV Tour took part in something called "Baroo at 2". Ridgewood Country Club has a great group of members and that group is lead by Bill... or Baroo. They all get together at 2 on Saturdays to have an old fashioned golf shootout. Baroo himself was my partner and we were locked into a serious duel. We started off hot and held a commanding lead at the turn. That's when I was handed a mighty fine Cuban cigar, I lit that baby up and started to feel the effects of a cigar that was clearly out of my league. Before we knew it, we were down 3. That's when Baroo and I decided to get serious. I ditched the cigar and made some birdies to get us back in it. On the 17th hole, Baroo hit the shot of the day... The Baroo Bouncer. From 180 out in some heavy rough he struck it pure and true. "Go, go, go, sit, sit, no, go, go, I mean sit" were the words Baroo spoke to his golf ball. In the end, the ball ended up 5 feet from the hole. After some clean up work, the match was over and Baroo and I were victorious. Just as we rocked into Jersey, it was time to roll on out.